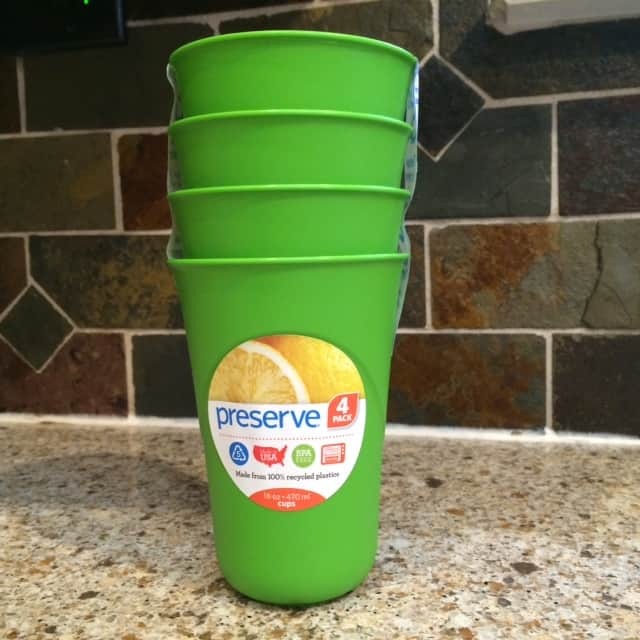 An easy way to go green is to ditch disposable plates and cups and opt for reusable versions – easy, right? Not so easy to break out the porcelain plates and glass tumblers when you’ll be serving kids everyday! And, isn’t some plastic drinkware potentially toxic? Enter these great plastic, reusable cups from Preserve. They are made from 100% recycled plastic and are BPA and melamine-free which means they are not-toxic. And, not only are they made in the US and dishwasher safe but they are also 100% recyclable. These are so great that we ordered a set for every classroom in our school to use instead of disposables. After each use at a class party a volunteer parent simply takes them home to be washed and returned.